Jesse Lingard heads into the 2018 World Cup with just two competitive starts to his name for England but with a prominent role awaiting him in Russia. 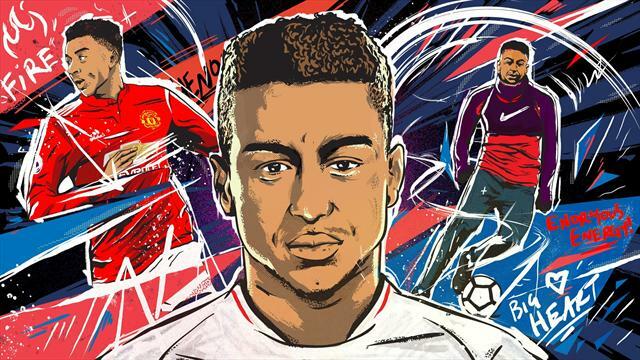 John Brewin speaks to Lingard's former coaches and mentors to discover the qualities which have made this late developer such an important player for club and country. They called it “the Cage”. A game of 13 v 13 where boys of 12 duked it out with almost fully grown 18-year-olds, it was a no-rules, fun diversion for the hopefuls at Manchester United’s Carrington training ground. Its purpose was rather more calculated than the harem scarem free-for-all a passing observer might have mistaken it for. Jim Ryan, the club’s director of youth football, wanted to recreate the park kickabouts of his post-war youth in Scotland. In Ryan’s view, and that of United's manager, Sir Alex Ferguson, it was those impromptu all-age matches, played without rules from dawn on housing estates across the country until dusk, when the sodium street lamps could no longer prevent players bumping into each other, that once made Scotland such a hotbed of the game. In 1967, Celtic famously won the European Cup with all but one of their 15-man squad born within 10 miles of Parkhead, and every English team of the 1960s and 1970s worth its salt featured a classic Scottish ball player. These days, Scottish parks, and those in England for that matter, are no longer filled with kids playing football but in recreating that environment in more controlled conditions, United coaches felt they had a shortcut to working out which players could step up to show the moral courage a player requires to succeed in the professional game.
" He was like a little boy. But mentally he was ahead of most of the bigger boys. " Within “the Cage”, and despite a physique described without exception as “tiny” by coaches and those who knew him as a teenager, Jesse Lingard stood out. Most of the facets that have made him a favourite of both current United manager Jose Mourinho and England coach Gareth Southgate were apparent in a small, childlike figure whose lack of size was counterbalanced by confidence, enthusiasm and creativity. The goals Lingard struck for United at Wembley in both the FA Cup final of 2016 and the League Cup final of 2017 were little surprise to the coaches who knew him back then, and the capers and jokes the social media devotee brings to various platforms were all present and correct. Ferguson created an environment and culture that featured a team of ex-United players, including Ryan, Brian McClair and Tony Whelan, all passing on what they learned during so many collective years at the club. The lineage went right back to Jimmy Murphy, the Welsh coach who was Sir Matt Busby’s right-hand man from the conclusion of the Second World War until both retired in 1969. It was a hard school, and ruthless to those who could not make the grade, but fun and creativity were key to the education process. Lingard’s age group contained plenty of gems: Paul Pogba, the rangy Frenchman lured from Le Havre as a 16-year-old; Ravel Morrison, a midfielder with as rich a talent as even Ferguson thought he had encountered; Will Keane, a striker of poise, alongside twin brother Michael, a defender not as gifted but who worked hard to make it to a professional contract; Sam Johnstone, a highly regarded goalkeeper; captain Ryan Tunnicliffe, hard-working and forceful in midfield; Tyler Blackett, a classy, athletic defender; Larnell Cole, Lingard’s closest friend on the team and with whom he would practice the latest American dance crazes, a skilful, diminutive forward. Together, those players would win the 2011 FA Youth Cup, getting past a Liverpool team containing Lingard’s future England colleague Raheem Sterling in the quarter-final and Sheffield United, featuring Harry Maguire, in a two-legged final won 6-3 on aggregate. But the club's record 10th lifting of the trophy was also its last. Since McGuinness’ team moved up into the senior ranks, English football’s youth scene has been dominated by Chelsea, winners of the trophy in six of the last seven seasons, but with still only Andreas Christensen produced as a regular first-teamer. And once Pogba’s 2012 departure and subsequent £89m recapture from Juventus is set aside, only Lingard, and belatedly, has properly completed the pathway from primary school aspirant to United first-team regular. Unlike the Busby Babes, or the "Class of ’92” that later reasserted the club’s reputation as an institution built on the flowering of youth, there are no documentaries on heavy MUTV rotation celebrating a golden generation from 2011.
" With Jesse, you didn’t know if he would grow. Would he be too small?" 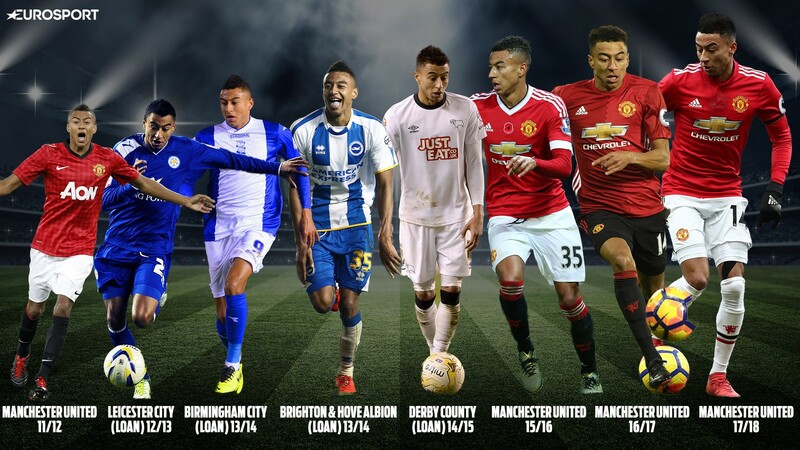 Lingard’s path to prominence was not easy, and circuitous. The rest of the aforementioned have forged careers in football, but away from the Old Trafford stage they were nurtured to grace. "It’s always in the back of your mind that you want to stay at United and you want to play for United,” Lingard said before the 2016 FA Cup final against Crystal Palace, where he would be playing without any of his old pals around him. "You just don’t know,” says McGuinness of the difficulty of predicting which players might make it. "Even Pogba, you thought he had a real chance, but you just didn’t know. You hope so and you can’t be sure. With Jesse, you didn’t know if he would grow. Would he be too small?” Ferguson, though, was ready to wait. "The manager said to him, ‘you’ll be 23 before you are really ready’,” says McGuinness, and it was at 23 that Lingard, as a substitute, scored the brilliant extra-time volley that sunk Crystal Palace at Wembley. Rene Meulensteen, who served as United’s first-team coach from 2006 until Ferguson's retirement in 2013, first joined the coaching staff in 2001 as a skills coach. Lingard, then an eight-year-old, was in the first intake of classes where Meulensteen practiced the Coerver Method, a football coaching technique named after Wiel Coerver, who led Feyenoord to winning the 1973-4 UEFA Cup. Coerver believed promising youngsters could become great players by focusing on individual ball skills; honing a perfect first touch buys time to make the next move.
" I always said to Jesse, ‘you remind me of Iniesta, you can be the English version'"
Lingard - from Warrington, the sprawling, industrial Cheshire town that sits between Manchester and Liverpool and in which football loyalties are divided between Mancunian and Merseyside clubs - was determined to make it at the club whose matches he had attended with his granddad even before he had signed on their books. At 13, he moved out of his mother’s home to club digs and attended Ashton-on-Mersey school in Sale, a southern suburb of Manchester close to Carrington, on a Manchester United Schoolboy Scholarship - “MANUSS” as it’s known at the club - but it would be fully 10 years until he was able to seize his chance. Despite Ferguson twice selecting him as an unused first-team substitute, and a spate of decent moments on United’s pre-season tour of Asia and Australia in 2013, Lingard’s chance would only truly arrive once he had undertaken four loan spells, at Leicester City, Birmingham City, Brighton and Derby County. None of them were for extended periods away from the Carrington cradle, but were long enough to give him experience in the Championship, where rough-hewn professionals will not give flickering, self-confident starlets the chance to show off their Coerver-learned ball skills.
" Oh, he was just magnificent"
Where Van Gaal, who gave 14 youngsters their United debuts during two years at Old Trafford, was prepared to trust him, predecessor David Moyes, swiftly under pressure after succeeding Ferguson, did not feel able to blood youth. Allowed by Moyes to seek experience elsewhere, it was in the second spell of that loan quartet, at Birmingham, under the management of Lee Clark, that Lingard first hit national headlines. On his Blues debut against Sheffield Wednesday on September 21 2013, he scored a hat-trick in the space of 13 first-half minutes and scored a second-half fourth in a 4-1 win. As someone who worked with both outside that United cocoon, Clark is ideally placed to compare Lingard with Ravel Morrison, the wayward prince of that 2011 youth team. Of the pair, who still keep in touch to this day, Morrison was hailed as the next future great. Lingard stayed the course to become a reliable, admired professional while Morrison, a chaotic off-field life complicated by repeated scrapes with the law, has become the great lost talent of his generation, someone who might have been the creative fulcrum of Southgate’s team in Russia, but who instead spent the 2017-18 season playing for Mexican club Atlas, on loan from Lazio, where he washed up when all ports of call in English football were exhausted. Once Ferguson, the last among United’s coaching staff to admit defeat, had decided the best thing for the young man’s career and his personal safety was to get away from Manchester, it was to West Ham and close friend Sam Allardyce that Morrison was sold in January 2012. Clark, ever keen to get the use of one of United’s jewels, handed Morrison the chance to spend a season on loan in the Midlands, and despite an often tempestuous relationship, he remains appreciative of the rich talent Morrison possessed then, and probably still possesses now. An injury-hit time in Guadalajara with struggling Atlas was at least offset by a lack of getting into off-field trouble, suggesting some lessons have been learned, but should he be interested in the World Cup, Morrison will be watching friends like Lingard and Pogba on television. With the likes of McGuinness, Meulensteen, Ryan and McClair now gone and Ferguson a face on matchday in the director’s box, Pogba returned to a club much altered from that he left but Lingard was a familiar face, his personality the same as it been had when the pair first met as 16-year-olds. Together, they have become United’s prime exponents of social media, a world that may be alien to many an older fan, and to which the club itself was resistant until relatively recently. 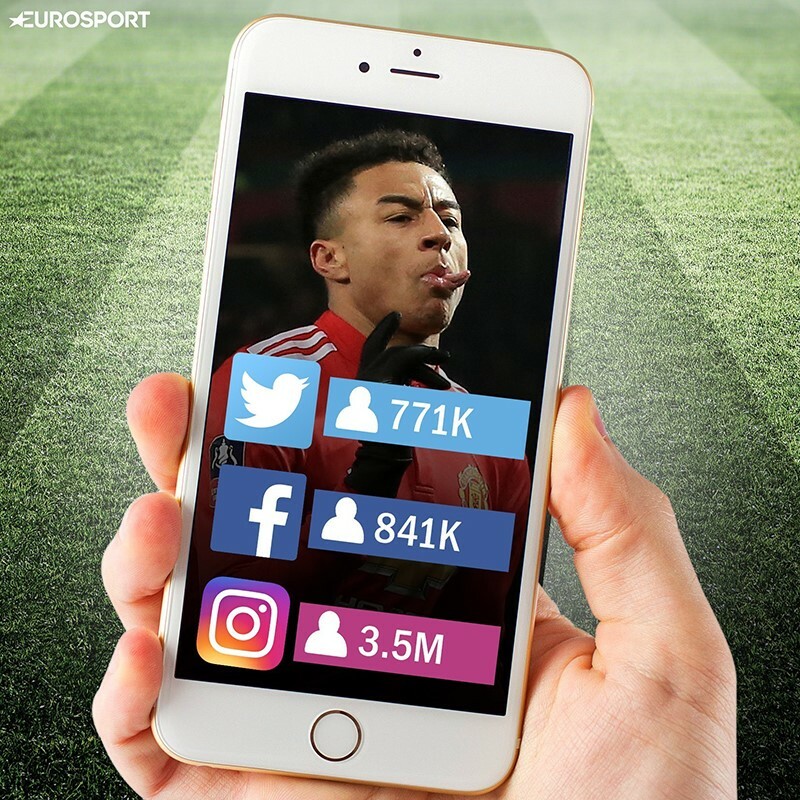 Where United execs were concerned by potential loose cannons like Wayne Rooney and Rio Ferdinand setting up Twitter accounts, there have been few such worries with the Instagram antics that Lingard and Pogba get up to. Besides, these things are now recognised as being good for business. Lingard’s good-natured tormenting of Marcus Rashford, with whom he has been close since they met in “the Cage” when the striker was just 12 and the midfielder a youth-team player, serves to display a human side to footballers that this age of rigid media management otherwise prevents. 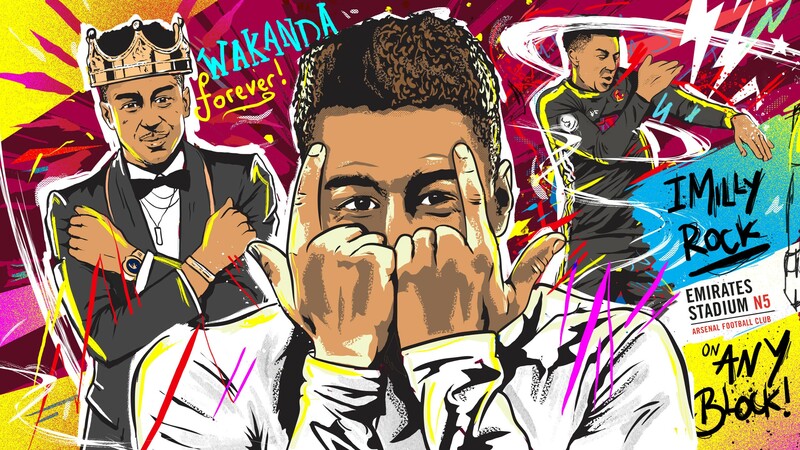 Lingard, not someone overly given to newspaper interviews or TV appearances, has created an image for himself that those close to him say reflects who he actually is in real life, and has always been. Joining Lingard’s many admirers within the game has been Jose Mourinho, hardly a manager known for a patience with nascent talent. From scoring the first goal of Mourinho’s regime with a burning, weaving run through the middle of Leicester’s defence in the 2016 Community Shield, a match that his manager would count as one of three trophies at the end of the season, Lingard has been a trusted option, someone whose versatility and willingness to adapt is fully appreciated. And within Mourinho’s outwardly austere regime, United’s manager is known to enjoy Lingard’s sunny personality and ability to find fun in the mundanity of professional football’s grind, since that messing around is paired with hard work of the type the Portuguese has always expected from players. As someone who paints his career journey from translator to two-time Champions League-winning manager as a struggle against the forces of the game’s establishment, Mourinho has often favoured those who have also had to fight their way through to the top, from Didier Drogba the late developer, to Frank Lampard, heavily criticised as a young player yet who retired as Chelsea’s all-time leading scorer with just about every possible medal in the game to a chorus of appreciation from all corners.
" I think Jesse is making that jump"
It has not all been roses, and in Mourinho’s first significant test in the Premier League, a showdown with Manchester City in September 2016, Lingard was hauled off at half-time as Pep Guardiola’s team ran rings around United’s midfield to eventually win 2-1, a scoreline that flattered the losing team. However, unlike Henrikh Mkhitaryan, who suffered that same half-time embarrassment, Lingard was back in the starting XI within three weeks with the Armenian absented from Premier League duty until late November as Mourinho suggested he needed time to work out “the intensity, the aggression, the game without the ball and the competitiveness” of playing for United. Having scored 10 goals by New Year’s Day, Lingard’s output slowed considerably in the latter half of the 2017-18 season, and though a headed, winning goal against Chelsea in February pleased his manager, the arrival of Alexis Sanchez rather muddied the waters for those attackers who would expect to be playing off lone striker Romelu Lukaku. When Southgate was selecting his final 23-man England squad, there was little doubt that Lingard, barring injury, would be one of the midfielders. "I'm delighted for Jesse,” the manager said after Lingard scored his first senior strike in March in 1-0 defeat of the Netherlands. “He’s a player we've worked with for three or four years from the Under 21s and this year he is starting to finish the chances." The make-up of Southgate’s selection suggests a decision to go with players as unaffected by the country's previous failings as possible, with players like Jack Wilshere, Joe Hart and Chris Smalling left behind. Too often, England teams have set sail for major championships with heavy baggage weighing them down. ‘Good tourists’ were sought and Lingard has much in common with a number of his fellow travellers, many of them former colleagues from Under-17 and Under-21 level. Like him, Harry Kane, the captain, had to wait for his chance at his parent club, and was also sent on four lower-league loans to toughen up. Dele Alli, who has a similar fun-loving social media presence, had to come through at MK Dons, while Harry Maguire has been an opponent since those Youth Cup days. And in Rashford and Danny Welbeck, Lingard has two confirmed pals from youthful Carrington days alongside him. What impact might Lingard make in Russia? Those who have worked with him speak of an ability to raise his level just when required, as a result of the mental strength that has carried him on the long journey from being the smallest boy in ‘the Cage'.